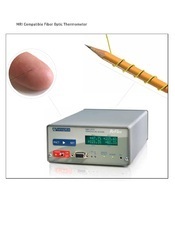 · Wireless data transfer between monitor and finger probe. 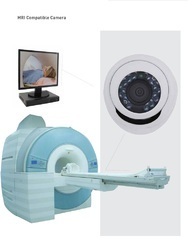 · Monitor can be placed anywhere in MRI room. · Integrated MRI compatible battery in monitor and finger probe. · System is controlled on touch screen. · Adjustable light and voice alarms. · Adult, Pediatric, neonatal probe options. · No need for extra accessories. MRI Compatibility certificate up to 3 Tesla. · Portable by high quality non-magnetic materials. 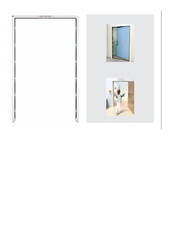 · Adjustable hook height between 120 to 210 cm. 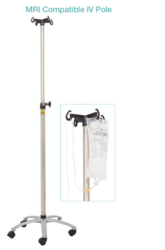 · Suitable to use with infusion pump. · 5x locking aluminum casters. 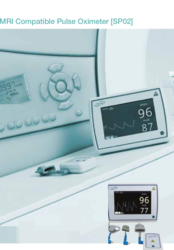 · MRI compatibility certificate up to 3 hours. · High sensitivity, non-chilling contact diaphragm. · Specifically developed for MRI environments. · MRI Compatibility certificate up to 3 Tesla. · CO2 absorber (canister) system. 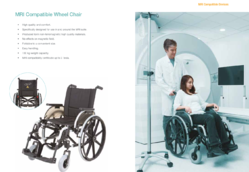 · Designed and built for sale use in the strong magnetic fields present MRI suite. · Replaceable plastic top with integrated push handles. · Tested by independent testing to 3 Tesla level. · MRI compatible up to 3 Tesla. · ECG recording which is based on the MR technology. · Analog and digital outputs. · Mains and battery power supply. · Optical measurement of core and skin temperature option. · Control unit option to observe the data and control the system from technician room. 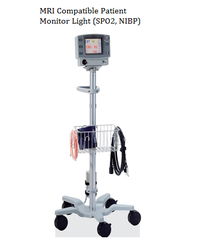 · Capno option for state-of-the-art gas analysis during anaesthesia. · Integrated magnetic field detector. · Visual and audible alarms. screen, visible from across the room. · Operates at up to 400 Gauss (40mT). · Stand-by mode for instant restarting. 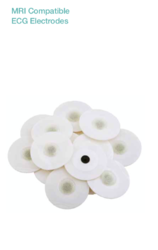 • Specifically developed for MRI environments with non-magneti materials. • Not affected by magnetic field. • 5 kg CO2 capacity. • MRI compatibility certificate up to 3 Tesla. Specifically designed for use in and around the MRI suite. No effects on magnetic field. Dual drop down side rails. • Easy connection of blades and handle. • Works with xenon lamp. 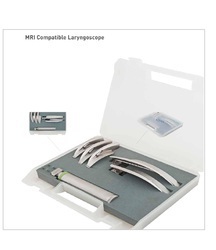 • Includes one MRI compatible laryngoscope battery. • Continuous magnetic disturbance Monitoring. • Alarm indicator lights not blocked by an outward swinging door. • Adjustable sensitivity and audio alarm levels. • Conforms to all applicable recommendations and standards. • Detects any ferromagnetic material. • Alerts with vibration, sound and light. • Lightweight, sensitive and easy to use. • No effect on pacemakers and similar implants. Produced from non-ferromagnetic high quality materials. Foldable to a convenient size. 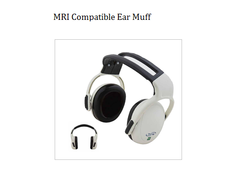 · Compatible with all MRI scanners. · 32 inch Full HD (1080 p) screen. · Compatible with PC or any video sources. · Fiber optic data transfer between control room and MRI room. · No need for installation and easy mobilization in MRI room. · Specially produced for interventional radiological applications. · Thanks to fiber optic data transfer, there is no risk of noise leakage in MRI room. 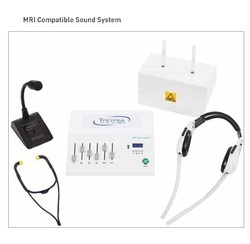 · Compatible with MRI sound systems. · Suitable with fMRI application. · MRI compatible certificate up to 3 Tesla. · Can be used with all MRI scanners. · Specifically designed sound control unit for MRI needs. · Integrated speakers in music control unit provide the same sound with patient in control room. · Sound levels in MRI room and control room can be adjusted separately. · Push-to-talk microphone is provided to communicate with patient. · MUTE circuit pauses music when the microphone is active. · Systems is suitable with fMRI applications. · PC, DVD player, MP3 player, USB or any source can be used. 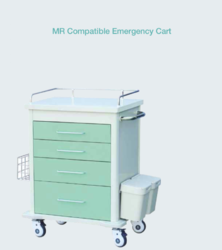 · MRI compatiblity (up to 3 Tesla) certificate. · The fMRI system provides mapping of neural activity in the brain during cognitive processes. 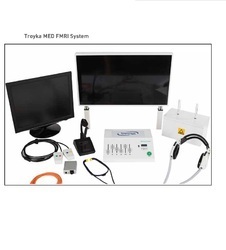 · The systems contains 4 components: a LED monitor, a sound system, a fiber optic response button and a synchronization system, along with accompanying FMRI presentation software. 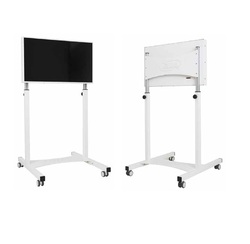 · The 32” MRI-compatible LED monitor enables presentation of visual stimuli to the subjects at high spatial resolution and across a large visual field. · The MRI-compatible sound systems uses an acoustic method to transfer the audio stimuli from a PC or any other audio source to the subject directly. · The fiber optic response button records the subject’s behavioral responses during cognitive tasks . The synchronization system ensures that the paradigms presented to the subject via the FMRI software, and the data acquisition process in the MRI scanner is synchronized. · The FMRI software includes the major sensory and cognitive paradigms that are used commonly in neuroscience applications microphone is active. · FMRI softwares are being upgraded automatically via internet. Accordingly, new versions of the software are provided to the customers for free. · Custom paradigms can be developed for special requests. •5 or 10 lt O2 capacity. •MRI compatibility certificate up to 3 Tesla. • Convenient, versatile and userifriendly 3D virtual system. • Multiple entertainment options from standard video, television and PC input. • Two-way communication with technicians and patient. • Head mounted display fits cpmpletely within the head coil. • Total resolution of 240,000 pixels for each display. • Digital audio system with 30 dB noise-attenuating headset. compatibility with all state-of-the art MRIs. 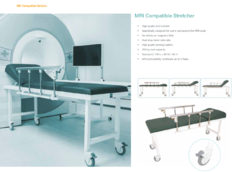 · All parts in the MRI room are MRI compatible. · Direct connection to monitor or video recorder. 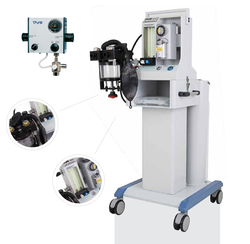 · Easy installation and high image quality. · MRI compatibility (up to 3 Tesla) certificate. • Fits in head coil. • Fiber optic multi-channel signal conditioner for temperature measurement in industrial and laboratory applications. • System temperature range is -80 to 300 °C. • Response time: 250 milliseconds switching with multiple channels. • Digital or analog signal output. •Extra soft for maximum comfort. •250 or 500 pairs in a single station. •Can be hung in or out of MRI room.